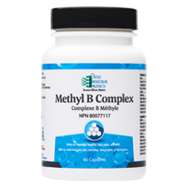 Methyl B Complex contains eight essential B vitamins, along with choline, inositol, and folate as Quatrefolic™ - 100% 5-MTHF, the biologically active form of folic acid for optimal methylation. 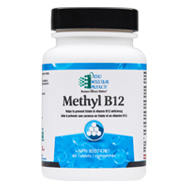 Methyl B12 includes a bioavailable source of two key B vitamins- B12 and folate (vitamin B9). Each tablet provides 5,000 mcg of methylcobalamin and 1,000 mcg of folate as Quatrefolic® (100% 5-MTHF). 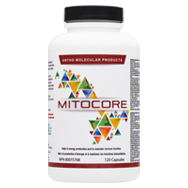 Mitocore provides a source of vitamins and minerals to support biological functions that play a key role in the maintenance of good health and to help maintain immune function. 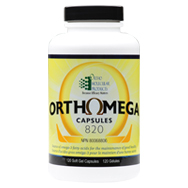 Orthomega 820 is an encapsulated fish oil sourced from the waters off the Chilean coast. Orthomega provides 820 mg of eicosapentaenoic acid (EPA) and docosahexaenoic acid (DHA) per soft gel as natural triglycerides. 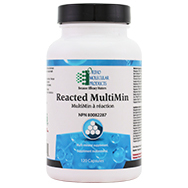 Reacted MultiMin provides highly absorbed minerals to prime digestion and improve the absorption of vitamins and minerals. 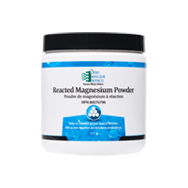 The formula provides mineral amino acid chelates in optimal ratios to help the body maintain mineral balance.